← Tuesday 13th October 2015 – Pumpkins, Potatoes and Poo!! 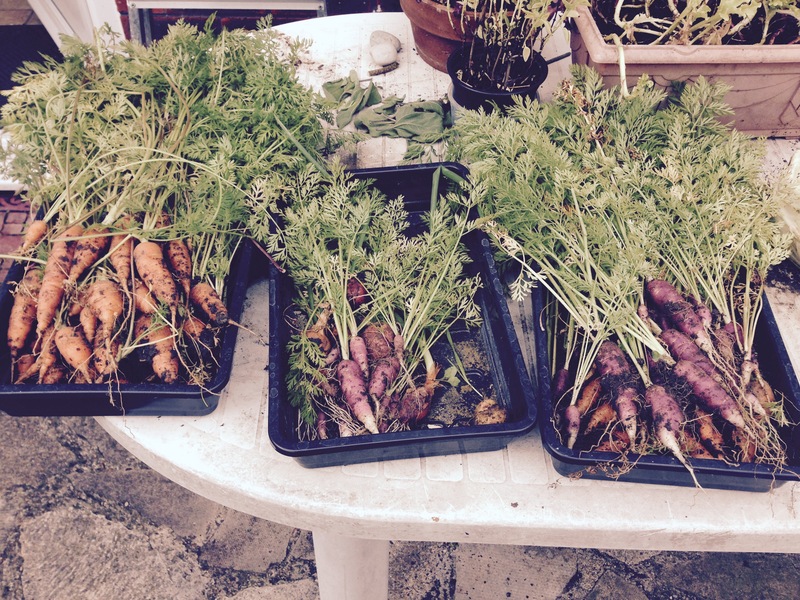 Wednesday 14th October 2015 – A whole lotta Carrots. I only had an hour today up the allotment with one thing and another, but I needed to go up there, just for a bit of sanity. Even in that short time I managed to dig up enough Carrots to keep us going for quite a while. A lovely selection of both purple and orange carrots. I’ll put them in the greenhouse at home to dry out for a while and then I’ll store them in the shed and we’ll use them as and when we need them. So far I’ve only dug up those 2 odd shaped ones that were cuddling each other. All the ones I dug up today varied in size (but then they were different varieties), but were all beautiful and straight and had no extra legs or anything weird about them. And no Carrot fly, which I’m very proud of. Apart from the odd rogue Potato and a few Onions, everything else is Carrots. The Parsnips are growing well, but won’t be up for at least another couple of months. They need a decent frost to sweeten them up first, but don’t mind staying in the ground until February next year. The leaves die back, but the parsnips themselves will be fine under the soil. If you forget where you planted them then just wait until the green shoots start showing in February/March time. I’ve lost mine before, but then found them when this happens. I’ll keep you posted on their progress. 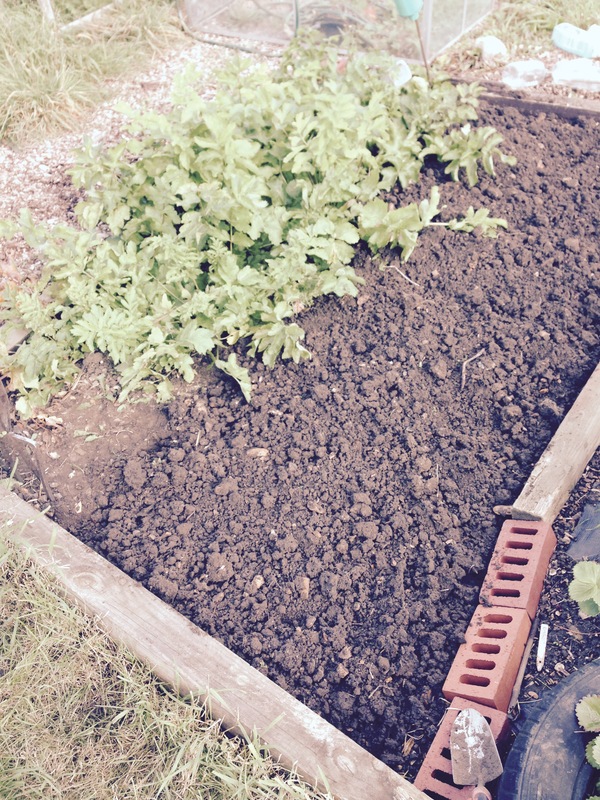 Just the Parsnips are left in this bed. Hope they don’t get too lonely. Sorry it’s so short, but I didn’t have much time. Hopefully I’ll be able to spend much more time playing tomorrow and have something more substantial to tell you. But until then TTFN!! This entry was posted in Uncategorized and tagged carrots, carrots fly, claire's allotment, onions, parsnips, potatoes. Bookmark the permalink. 2 Responses to Wednesday 14th October 2015 – A whole lotta Carrots. I love the purple carrots! We’ve been making a lot of carrot hummus with our glut and those purple ones would make it an amazing colour. I’ll have to plant some next year. Purple Hummus will look brilliant!